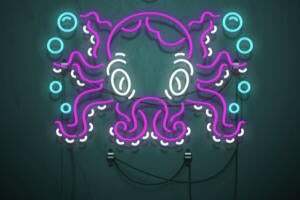 This week’s roundup of new iPad cases includes a functional crossover from WaterField Designs, a versatile keyboard case from ZeroChroma, and colorful, creative options from DODOcase, Everything Tablet, and Belkin. ...plus keyboard cases, mounts, and more! This week’s roundup of new iPad cases includes a functional crossover from WaterField Designs, a versatile keyboard solution from ZeroChroma, and colorful, creative options from DODOcase, Everything Tablet, and Belkin. 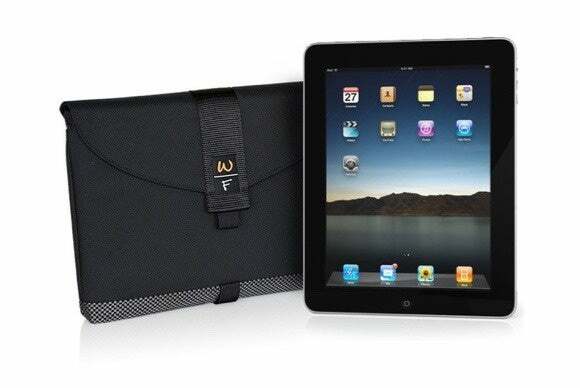 The FreeHand (all iPad mini models; $10) sports a slim, lightweight design with an integrated handstrap behind its cover. 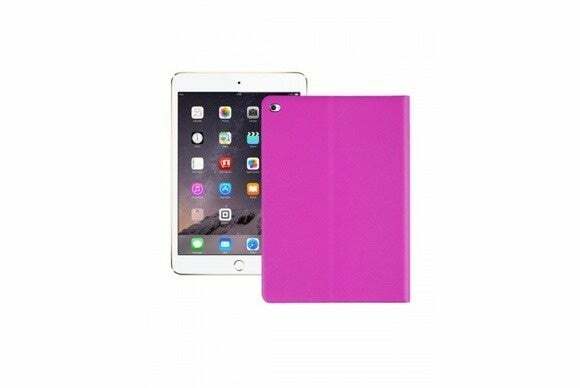 The case is compatible with the iPad mini’s magnetic sleep/wake feature, supports one-handed viewing or typing in landscape or portrait orientation, and includes corner clips that securely hold your iPad mini into place. It also comes with two card slots. The Taylor Stitch (iPad Air and Air 2; $80 to $108) features vintage California maps inspired by the case’s namesake—a San Francisco-based clothing company. 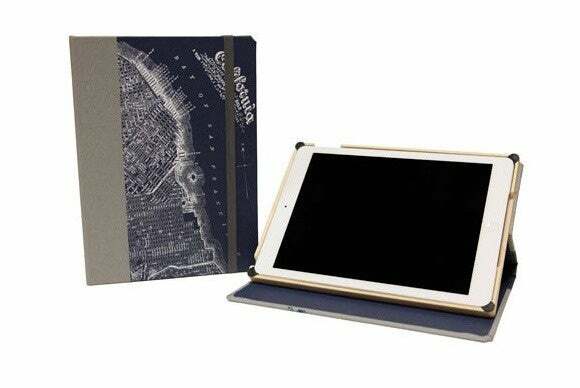 The case doubles as a stand in landscape orientation, triggers your iPad Air’s magnetic sleep/wake feature, and includes an impact-resistant bamboo tray with precise cutouts for the iPad’s buttons and ports. The case can be personalized with a monogram or your name, and can be upgraded to a multi-angle stand for extra convenience. The Luxury Flip Case (iPad Air 2; $60) sports a book-style design that completely surrounds and protects your iPad Air with a touch of style. Available in a variety of leather shades—including yellow, white, pink, navy, and gray—the case features a reinforced plastic cradle, props up your iPad in landscape orientation, and is compatible with the iPad Air 2’s magnetic sleep/wake feature. The Reporter Bag (all iPad models; $140) features a zippered pocket with a fold-over flap, a notebook, and other essentials for on-the-go computing. Made with Moleskine’s classic black leather, the bag comes with an adjustable shoulder strap, and features an elastic band that keeps it securely closed during transportation. 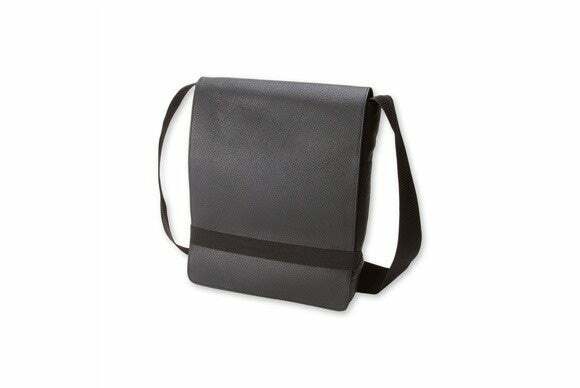 The Leather Backpack (all iPad models; $295) provides plenty of room for your laptop, iPad, and accessories. 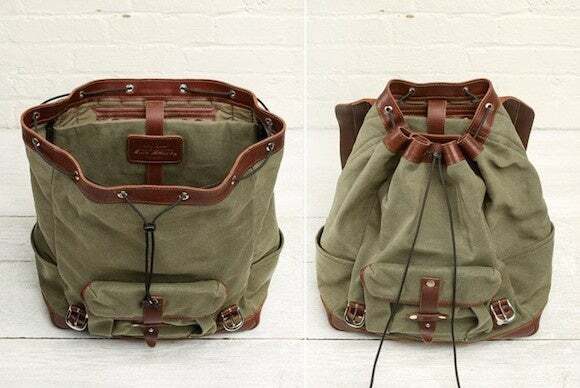 Made with full-grain leather and waxed canvas, the backpack features a padded laptop sleeve, a smaller dedicated pocket for your iPad, and various compartments for pens, charging cables, and other accessories. Handcrafted and signed by the artisan, the Leather Backpack sports copper rivets, nickel hardware, and parachute nylon stitches for extra safety. It’s available in five fashionable color combinations. 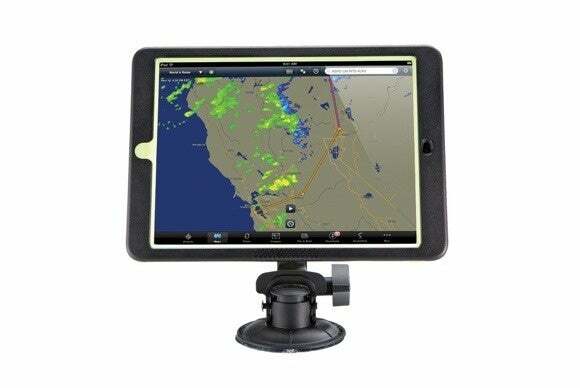 The Pivot (all iPad mini models; $130) features a convenient mount with a suction cup and a rotating arm that sticks to any flat surface, from your dashboard to an airplane tray table. The Pivot turns into a stand in both landscape and portrait orientation with support for multiple viewing angles, sports an integrated window for a photo ID, and includes a protective folio to prevent damage to your iPad when not being used with the stand. 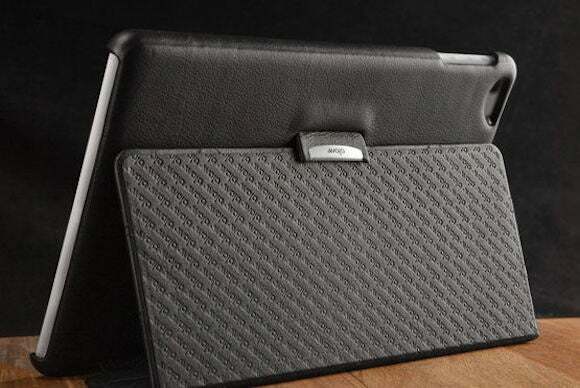 The Matelassé (iPad Air; $200) sports a fashionable quilted pattern on a luxurious leather shell for stylish all-around protection. 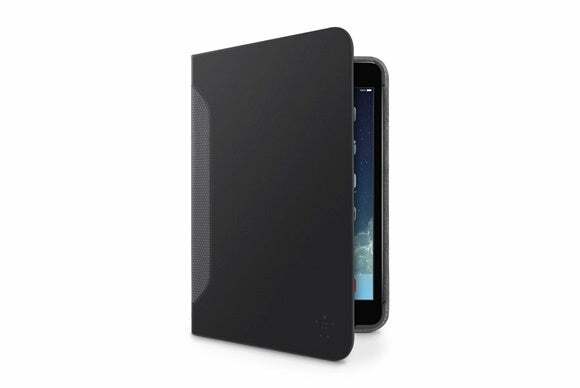 Available in a number of interior and exterior colors, the case’s cover is compatible with the iPad’s magnetic sleep/wake feature, doubles as a stand in landscape orientation, and features a custom molded camera opening for the iPad’s back-facing camera—if taking iPad photos is your thing. Made with ballistic nylon, the Ultimate SleeveCase (iPad Air, iPad Air 2, iPad mini 2 and 3; $59 to $87) features a shock-absorbing neoprene shell lined with suede that provides protection from scratches and bumps—and even helps keep your screen smudge-free. The case includes a rigid plastic insert, is available in lead indium or brown leather trim options, comes with an optional shoulder strap for hands-free carrying, and sports a velcro closure to secure its flap into place. The Folio-Slide (iPad Air and Air 2; $100) features a detachable Bluetooth keyboard that doubles as a cover to keep your iPad Air safe when you’re on the move. 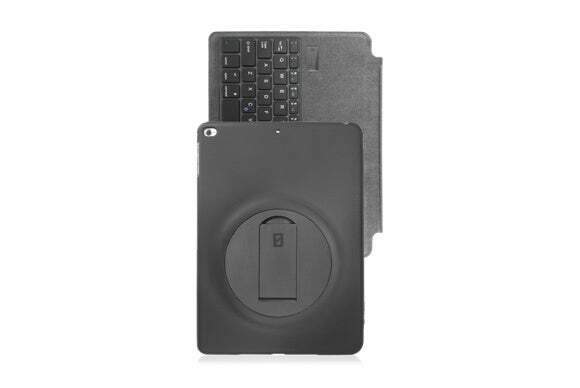 The case supports multiple viewing angles in both landscape and portrait orientation, and includes precise openings for the iPad’s buttons, Lightning port, and camera. The keyboard comes with a soft-to-the touch microfiber lining that protects your screen from scratches.